One of the effective way of keeping our body healthy and fit and is spin biking. It is one of the trends today when it comes to working out. Why? Because, spin biking has not only help us in burning our calories fast and increasing our stamina, but it provides convenience to the biker, by making it possible to workout at home. Indoor spin bikes are now available not only in the gym but for anyone who prefer to workout at their home. One of the best things of spin biking is that you can workout easily without the hassles of following and memorizing a routine. You can ride on your bike, start pedaling, and you are good to go. However, the fitness experts have simple rules in spin biking to follow to achieve the goal faster. It is very easy that anyone can get it on the first time. And one of the most important things to consider in spinning is your outfit, your shoes, the mats, music, etc. Whether you are at home, at the gym, or in the outdoor, these indoor cycling essentials will help you in achieving your goal faster and comfortably. Always bring a towel and a water bottle, they are needed too. I have listed the essentials that you must have to achieve a comfortable and a more optimized workout. Let’s start from clothing until to the least essential. To a more optimized workout, dressing for a purpose is a must. Wearing proper clothes for the workout will enable you to move comfortably. No matter how intense your workout is, you will not be disturbed by any discomfort caused by your clothing. Women should wear a sports bra under your shirt. It is to avoid your breasts from moving. Cycling shorts for men and women is ideal because it will fit your legs and enables you to move freely. You should choose tight fitting clothes that will keep your sweat away from your skin. An ideal cloth for a sweaty exercise is made from polypropylene material. It will not absorb the sweat; instead, it will let the sweat evaporate from your skin. So, it will not make your clothes heavy. Clothes made from cotton absorbs sweat, so it becomes heavier as you sweat. When it is colder. You can wear cover-ups over your top. But as you started to increase your momentum and when you begin to sweat, you can take off your cover ups. Your shoes are very important in cycling since you are using your feet in pedaling. Wear sports shoes rather than casual or formal shoes. Sports shoes are designed to keep your feet comfortable during the training. There are running shoes and cycling shoes that you can choose according to your budget. Choose shoes that have a good support and comfortable cushions to optimize your workout. When you are wearing proper shoes for sport, you will save yourself from injuries and foot pain. For indoor cycling, the stability of your spin bike is very important to have an effective workout. Choose a mat that can hold your machine even in an intense workout. It should be thick to prevent your spin bike from slipping. Choose a mat that is made from durable material so that it will not easily wear off, especially when doing intense workout most of the time and when using a spin bike that creates vibrations during a workout. There are varieties of mats on the market that you can choose. Mat will keep your spin bike in place and it will protect your floor. To aid comfort in your spinning, there are accessories that you can use while biking. You can use these when you are spinning outdoors, in the gym and even indoor spinning. Headband or sweat band– It is worn on your head to prevent your hair from getting into your eyes and keeping the sweat away from your eyes and face. Socks – To provide more cushion for your feet and keep your feet dry from moisture. Gloves – Wearing cycling gloves promotes good grip on the handlebars and will keep your hands dry from sweat. Heart rate monitor – If you have a heart monitor, you will be able to track your heart rate and calories burn, pace and distance covered. If you can see your improvement, this will motivate you more in reaching your target. Seat Covers – This part is not a mandatory option for the bikers. If you own great spinning bike; then the manufacturer will make sure the saddle comfort for the user. But if you think that putting a seat cover will enhance your indoor biking experience then you should go for it. You will find different types of indoor bike seat covers and among them choose the right one as your need. Imagine doing a workout without music. Do you think it is not boring? It can even make you sleepy. Music can help your workout effectively since it can wake up your senses. Choose music with fast-paced rhythm, so you can pedal faster to sync with the music. It will make your workout more fun and enjoyable. 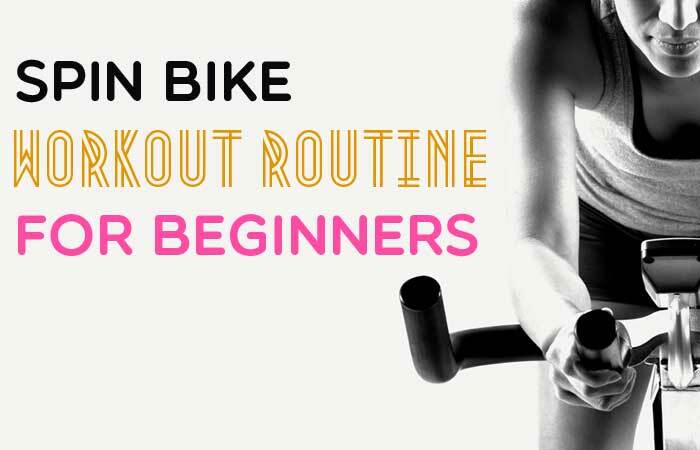 All the indoor cycling essentials mentioned above will greatly help you to have fun and to have an optimized workout. You can concentrate more on your spinning because of the comfort. There will be no unnecessary disturbance since you got all the things that you need. When you are wearing the proper outfit, the proper shoes, then you are safe from injuries and discomfort. Don’t forget your towel and your water bottle, these are important too. So now that you got everything that you need, you can get started and have fun spinning.